When you’ve decided to find the extra space you need an declutter your home or office once and for all, AAA Storage is ready to be your go-to solution. 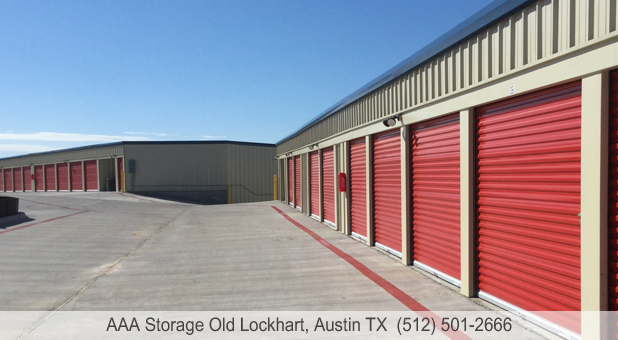 Our storage facility is conveniently located in south Austin near the suburbs of Bluff Springs, Manchaca, Hays, Colton, Pilot Knob, and Mustang Ridge. You’ll find us at 9810 Old Lockhart Hwy near Onion Creek Metropolitan Park. 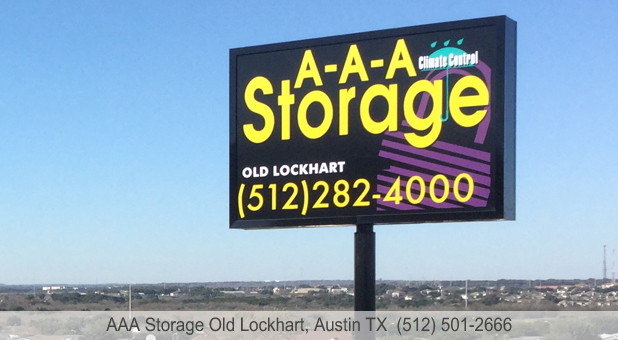 Since we’re conveniently located just east of I-35, we’re an accessible storage solution for area residents and businesses. 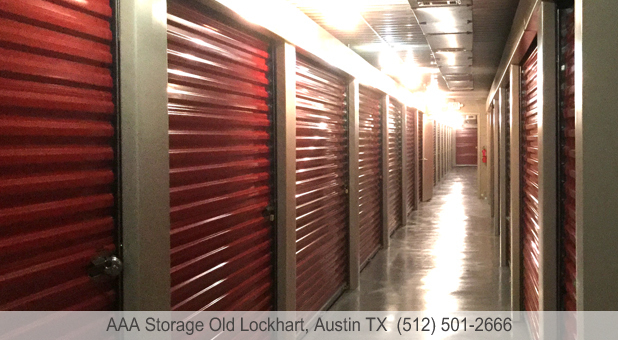 Not only is our facility accessible, however, but our storage units are, too! We offer drive-up access so you can pull your vehicle right up to the door of your unit for easy loading and unloading. Additionally, we offer climate-controlled interior units to help you protect more sensitive items. Need some space in your driveway, too? We have the solution. We offer spacious parking spots that are perfect for your car, boat, truck, trailer, RV, or other vehicle, and you’ll benefit from our great security features like security cameras and gated access to help you keep your vehicle safe. Contact us today - we’ll help you reserve the perfect solution for your problem! 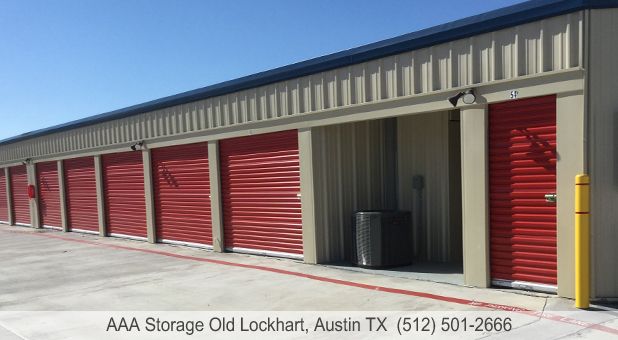 The storage unit facility is very clean and no hassle at all with the process. 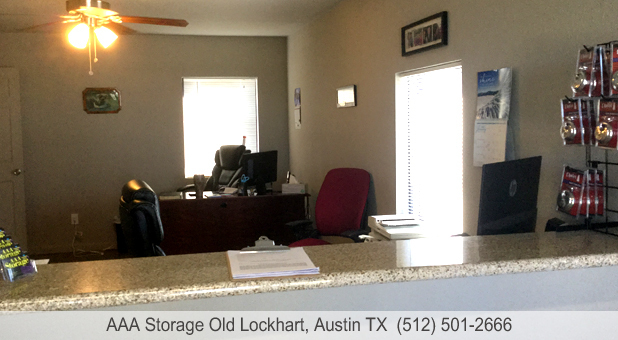 Susan was generous, kind and patient and took the time in helping us looking for the right storage unit and parking space that fit our needs. I would highly recommend anyone who lives in this area, who may be looking for a storage facility to come see Susan and Lloyd at AAA Storage. God Bless. This is a very well kept and clean storage facility. The staff is very friendly and nice. (Susan, in particular) There was no hassel during the rental process and the 1st month is really only $1!!! I would definitely recommend this facility to anyone in need of a storage. If, or when, the time comes for me to rent another storage...I am definitely going with AAA!!! Thanks. Beware of price quote switcheroo. . . . . 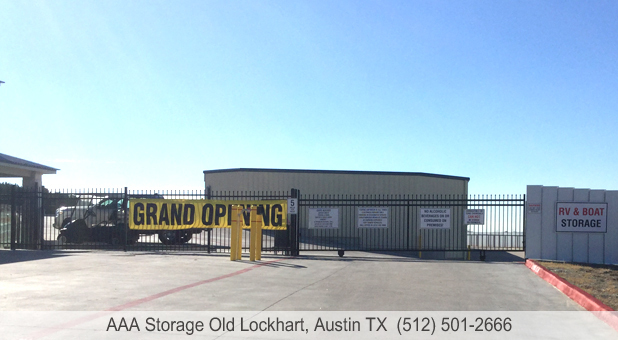 This is a brand new facility, nicely laid-out, easy to find in the Southeast Austin area near I-35 and Slaughter Lane. The lady who runs it (Susan) is extremely nice, very helpful, and is for the most part the sort of person I want overseeing the place I store my RV. I wanted to be able to write a glowing review of this place, but they committed perhaps the worst offense short of outright theft by first backing out of a quoted storage price, then suggesting I might not be able to afford it after I protested the change in price. I went ahead with the up-rated price (after I had already moved my RV in and secured it for extended storage) to see if I could get them to honor the original price. No such luck. They also had a banner on the gate about "first month rent only $1" which they claimed didn't apply to outside storage. Pretty shady, bait-and-switch. For the same price as the up-rated monthly amount, I'm not storing my RV in a nearby covered storage facility. plus free lock w/ online reservation. New Customers only.